Dunant was born in Geneva, Switzerland, the first son of businessman Jean-Jacques Dunant and Antoinette Dunant-Colladon. His family was devoutly Calvinist and had significant influence in Geneva society. His parents stressed the value of social work, and his father was active helping orphans and parolees, while his mother worked with the sick and poor. Dunant grew up during the period of religious awakening known as the Réveil, and at age 18 he joined the Geneva Society for Alms giving. In the following year, together with friends, he founded the so-called "Thursday Association", a loose band of young men that met to study the Bible and help the poor, and he spent much of his free time engaged in prison visits and social work. On November 30, 1852, he founded the Geneva chapter of the YMCA and three years later he took part in the Paris meeting devoted to the founding of its international organization. In 1849, at age 21, Dunant was forced to leave the Collège Calvin because of bad grades, and he began an apprenticeship with the money-changing firm Lullin et Sautter. After its successful conclusion, he remained as an employee of the bank.In 1856, he created a business to operate in foreign colonies, and, after being granted a land concession by French-occupied Algeria, a corn-growing and trading company called the Financial and Industrial Company of Mons-Djémila Mills (Société financière et industrielle des Moulins des Mons-Djémila). However, the land and water rights were not clearly assigned, and the colonial authorities were not especially cooperative. As a result, Dunant decided to appeal directly to French emperor Napoléon III, who was with his army in Lombardy at the time. France was fighting on the side of Piedmont-Sardinia against Austria, who had occupied much of today's Italy. Napoleon's headquarters were located in the small city of Solferino. Dunant wrote a flattering book full of praise for Napoleon III with the intention to present it to the emperor, and then traveled to Solferino to meet with him personally. In 1853, Dunant visited had Algeria, Tunisia, and Sicily, on assignment with a company devoted to the "colonies of Setif" (Compagnie genevoise des Colonies de Sétif). Despite little experience, he successfully fulfilled the assignment. Inspired by the trip, he wrote his first book with the title An Account of the Regency in Tunis (Notice sur la Régence de Tunis), published in 1858. Dunant arrived on Solferino on the evening of June 24, 1859, on the same day a battle between the two sides had occurred nearby. Thirty-eight thousand wounded, dying and dead, remained on the battlefield, and there appeared to be little attempt to provide care. Shocked, Dunant himself took the initiative to organize the civilian population, especially the women and girls, to provide assistance to the injured and sick soldiers. They lacked sufficient materials and supplies, and Dunant himself organized the purchase of needed materials and helped erect makeshift hospitals. He convinced the population to service the wounded without regard to their side in the conflict as per the slogan "Tutti fratelli" (All are brothers) coined by the women of nearby city Castiglione delle Stiviere . He also succeeded in gaining the release of Austrian doctors captured by the French. After returning to Geneva early in July, Dunant decided to write a book about his experiences, which he titled Un Souvenir de Solferino (A Memory of Solferino). It was published in 1862 in an edition of 1,600 copies and was printed at Dunant's own expense. Within the book, he described the battle, its costs, and the chaotic circumstances afterwards. He also developed the idea that in the future a neutral organization should exist to provide care to wounded soldiers. He distributed the book to many leading political and military figures in Europe. From early on, Moynier and Dunant had increasing disagreements and conflicts regarding their respective visions and plans. Moynier considered Dunant's idea to establish neutrality protections for care providers implausible and advised Dunant not to insist upon this concept. However, Dunant continued to advocate this position in his travels and conversations with high-ranking political and military figures. This intensified the personal conflict between Moynier, who took a rather pragmatic approach to the project, and Dunant who was the visionary idealist among the five, and led to efforts by Moynier to attack Dunant and his bid for leadership.Dunant also began to travel through Europe to promote his ideas. 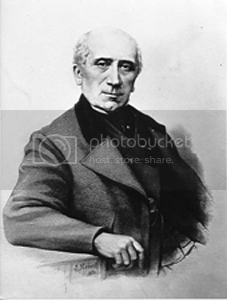 His book was largely positively received, and the President of the Geneva Society for Public Welfare, jurist Gustave Moynier , made the book and its suggestions the topic of the February 9, 1863 meeting of the organization. Dunant's recommendations were examined and positively assessed by the members. They created a five-person Committee to further pursue the possibility of their implementation and made Dunant one of the members. The others were Moynier, the Swiss army generalHenri Dufour, and doctors Louis Appia and Théodore Maunoir . Their first meeting on February 17, 1863 is now considered the founding date of the International Committee of the Red Cross . In October 1863, 14 states took part in a meeting in Geneva organized by the committee to discuss the improvement of care for wounded soldiers. Dunant himself, however, was only a protocol leader because of Moynier's efforts to diminish his role. A year later on August 22, 1864, a diplomatic conference organized by theSwiss Parliament led to the signing of the First Geneva Convention by 12 states. Dunant, again, was only in charge of organizing accommodation for the attendees . Dunant's businesses in Algeria had suffered, partially because of his devotion to his humanistic ideals. In April 1867, the bankruptcy of the financial firm Crédit Genevois led to a scandal involving Dunant. He was forced to declare bankruptcy and was condemned by the Geneva Trade Court on August 17, 1868 for deceptive practices in the bankruptcies. Due to their investments in the firm, his family and many of his friends were also heavily affected by the downfall of the company. The social outcry in Geneva, a city deeply rooted in Calvinist traditions, also led to calls for him to separate himself from the International Committee. On August 25, 1868, he resigned as Secretary and, on September 8, he was fully removed from the Committee. Moynier, who had become President of the Committee in 1864, played a major role in his expulsion. In February 1868, Dunant's mother died. Later that year he was also expelled from the YMCA. In March 1867, he left his home city Geneva and would not return for the rest of his life. In the following years, Moynier likely used his influence to attempt to ensure that Dunant would not receive assistance and support from his friends. For example, the gold medal prize ofSciences Morales at the Paris World's Fair did not go to Dunant as originally planned but to Moynier, Dufour, and Dunant together so that the prize money would only go to the Committee as a whole. Napoléon III's offer to take over half of Dunant's debts if Dunant's friends would secure the other half was also thwarted by Moynier's efforts. Dunant moved to Paris, where he lived in meager conditions. However, he continued to pursue his humanitarian ideas and plans. During the Franco-Prussian War (1870–1871), he founded the Common Relief Society (Allgemeine Fürsorgegesellschaft) and soon after the Common Alliance for Order and Civilization (Allgemeine Allianz für Ordnung und Zivilisation). He argued for disarmament negotiations and for the erection of an international court to mediate international conflicts. Later he worked for the creation of a world library, an idea which had echoes in future projects such as UNESCO. In his continued pursuit and advocacy of his ideas, he further neglected his personal situation and income, falling further in debt and being shunned by his acquaintances. Despite being appointed an honorary member of the national Red Cross societies of Austria, the Netherlands, Sweden, Prussia and Spain, he was nearly forgotten in the official discourse of the Red Cross Movement, even as it was rapidly expanding to new countries. He lived in poverty, moving to various places between 1874 and 1886, including Stuttgart, Rome, Corfu, Basel, andKarlsruhe. In Stuttgart he met the Tübingen University student Rudolf Müller with whom he would have a close friendship. In 1881, together with friends from Stuttgart, he went to the small Swiss resort village Heiden for the first time. In 1887 while living in London, he began to receive some monthly financial support from some distant family members. This enabled him to live a somewhat more secure existence, and he moved to Heiden in July. He spent the rest of his life there, and after April 30, 1892 he lived in a hospital and nursing home led by Dr. Hermann Altherr. In Heiden, he met the young teacher Wilhelm Sonderegger and his wife Susanna; they encouraged him to record his life experiences. Sonderegger's wife founded a branch of the Red Cross in Heiden and in 1890 Dunant became its honorary president. With Sonderegger, Dunant hoped to further promote his ideas, including publishing a new edition of his book. However, their friendship later was strained by Dunant's unjustified accusations that Sonderegger, with Moynier in Geneva, was somehow conspiring against Dunant. Sonderegger died in 1904 at the age of only forty-two. Despite their strained relationship, Dunant was deeply moved by the unexpected death. Wilhelm and Susanna Sonderegger's admiration for Dunant, felt by both even after Dunant's allegations, was passed on to their children. In 1935, their son René published a compilation of letters from Dunant to his father. In 1897, Rudolf Müller, who was now working as a teacher in Stuttgart, wrote a book about the origins of the Red Cross, altering the official history to stress Dunant's role. The book also contained the text of "A memory of Solferino". Dunant began an exchange of correspondence with Bertha von Suttner and wrote numerous articles and writings. He was especially active in writing about women's rights, and in 1897 facilitated the founding of a "Green Cross" women's organization whose only section was briefly active in Brussels.In 1901, Dunant was awarded the first-ever Nobel Peace Prize for his role in founding the International Red Cross Movement and initiating the Geneva Convention. Norwegian military physician Hans Daae, who had received a copy of Müller's book, advocated Dunant's case on the Nobel committee. The award was jointly given to French pacifist Frédéric Passy , founder of the Peace League and active with Dunant in the Alliance for Order and Civilization. The official congratulations which he received from the International Committee finally represented the rehabilitation of Dunant's reputation:"There is no man who more deserves this honour, for it was you, forty years ago, who set on foot the international organization for the relief of the wounded on the battlefield. Without you, the Red Cross, the supreme humanitarian achievement of the nineteenth century would probably have never been undertaken. "Moynier and the International Committee as a whole had also been nominated for the prize. Although Dunant was supported by a broad spectrum in the selection process, he was still a controversial candidate. Some argued that the Red Cross and the Geneva Convention had made war more attractive and imaginable by eliminating some of its suffering. Therefore Müller, in a letter to the committee, argued that the prize should be divided between Dunant and Passy, who for some time in the debate had been the leading candidate to be the sole recipient of the prize. Müller also suggested that if a prize were to be warranted for Dunant, it should be given immediately because of his advanced age and ill health.By dividing the prize between Passy, a pacifist, and Dunant, a humanitarian, the Nobel Committee set a precedent for the conditions of the Nobel Peace Prize selection which would have significant consequences in later years. A section of Nobel's will had indicated that the prize should go to an individual who had worked to reduce or eliminate standing armies, or directly to promote peace conferences, which made Passy a natural choice for his peace work. On the other hand, the arguably distinct bestowal for humanitarian effort alone was seen by some as a wide interpretation of Nobel's will. However, another part of Nobel's testament marked the prize for the individual who had best enhanced the "brotherhood of people," which could be interpreted more generally as seeing humanitarian work like Dunant's as connected to peacemaking as well. Many recipients of the Nobel Peace Prize in later years can be assigned to either of these two categories first roughly established by the Nobel committee's decision in 1901.Hans Daae succeeded in placing Dunant's part of the prize money, 104,000 Swiss Francs, in a Norwegian Bank and preventing access by his creditors. Dunant himself never spent any of the money during his lifetime.cyAccording to his wishes, he was buried without ceremony in the Sihlfeld Cemetery in Zurich . In his will, he donated funds to secure a "free bed" in the Heiden nursing home always to be available for a poor citizen of the region and deeded some money to friends and charitable organizations in Norway and Switzerland. The remaining funds went to his creditors partially relieving his debt; his inability to fully erase his debts was a major burden to him until his death. Grave of Henry DunantAccording to his nurses, the final act of his life was to send a copy of Müller's book to the Italian queen with a personal dedication. He died on October 30, 1910, and his final words were "Where has humanity gone?" He outlived his nemesis Moynier by just two months. Despite the ICRC's congratulations at the bestowal of the Nobel prize, the two rivals never reached a reconciliation. .Among several other awards in the following years, in 1903 Dunant was given an honorary doctorate by the medical faculty of the University of Heidelberg. He lived in the nursing home in Heiden until his death. In the final years of his life, he suffered from depression and paranoia about pursuit by his creditors and Moynier. There were even days when Dunant insisted that the cook of the nursing home first taste his food before his eyes to protect him against possible poisoning. Although he continued to profess Christian beliefs, in his final years he spurned and attacked Calvinism and organized religion generally. His birthday, May 8, is celebrated as the World Red Cross and Red Crescent Day. The former nursing home in Heiden now houses the Henry Dunant Museum. In Geneva and other places there are numerous streets, squares, and schools named after him. The Henry Dunant Medal, awarded every two years by the standing commission of the International Red Cross and Red Crescent Movement is its highest decoration.